Here we go. A short read about their lawsuit filed today, I gather. NWF suing EPA for failing to stop (or encouraging same) farmers from planting crops for ethanol in grasslands. My comment may be extreme but sometimes I think that Greenpeace and NWF, Sierra Club etal... are working for the oil cartels. Maybe this hinders our (government) ability to develop a future-looking energy policy. I agree with your sentiment. I really think that some greenies fail to understand how profoundly we depend on cheap, available energy. They go out in the woods carrying $500 of highly engineered kit for a weekend. Then on weekdays they fly across the country to advocate for a kind of low consumption lifestyle they themselves would find loathsome and probably lethal. That said, I think we cheat ourselves greatly by not caring for the environment enough. We vastly underestimate the power of biodiversity. And of the pleasure that the natural world brings us. I understood this before moving to Prescott. Now that I'm here I find that nothing brings me joy like being outside in nature. Neither city streets, nor strip malls, nor endless cornfields bring the same sense of joy. Sometimes saving the spotted owl is the greatest gift we can give to each other. I just watched a presentation by Bill Gates at the TED Conf. 2010. He seems to have a firm understanding of the impact of kilowatts generated relative to land used to produce energy. I think this is something that really needs to be considered when developing an energy policy. There's got to be a balance, a give and take, in what we, the people and the planet gain or loss in creating energy and really, really smart people need to be in the discovery of options and the negotiations. I sure don't have any answers or even preferences--I just want a realistic balance. I'm posting the link to the video presentation in the CHAT thread so it has a space of it's own and is open to all to view and discuss in they like. Quoting: More aggressive and adaptable than its cousin, the barred owl apparently hitchhiked West across the Great Plains on forests that popped up because people were controlling wildfires and planting trees around farms, scientists have said. The barred owl arrived in Washington in 1973. Their solution? KILL the barred owls to save the spotted owls...ummm...I thought that naturalists believed in evolution and the survival of the fittest...I guess I thought wrong! This is just one example of how the environmentalists control the world through exaggerations and lies and how they continue to exploit us all while preventing any real advancement of real solutions. There will be no viable alternative energy solution if we continue to allow the radical environmentalists to dictate what we can and cannot do based upon their "save the spotted owl" type of mass hysteria and faulty pseudo science. So true, Brenda and you said it very well. The true facts prior to public spin were definitely hidden in the "spotted owl" scenario. I remember that time so well and wonder (and discover) other truths on spin coming through the information channels today. I used to read the Christian Science Monitor ( a very informative news source that I imagine some shy away from because of the name, but, nonetheless, a great source). During the spotted owl controversy they reported differently than other sources on that subject. The story was the spotted owl mascot was drummed up to save the Redwood clear cut activities in the Northwest. Seems the Japanese were demanding that we sell them entire felled Redwoods - not milled lumber.... this put a huge strain the the mills of the Northwest and many closed putting whole towns out of work. The Japanese would take the entire tree back to Japan and mill/saw it to their own building specs (usually for decorative interiors for the very wealthy) The spotted owl (may have been endangered due to the felling of the forests) was invented as the reason not to fell the trees and save it's habitat. Can you imagine the bad public relations and the international riff if we flat out said we wouldn't sell to the Japanese? Same thing occurred in the Amazon forests in felling the precious/rare-wood trees. That version is closer to the truth. The Japanese did purchase whole logs (hand picked) for use in their Temples. And several Large timber holders did sell to them and they did want more. It was more profitable to sell the logs than to mill them so jobs here took a huge hit. It is happening again today as many of our logs are being exported to China to meet their housing demands and again smaller mills are threatened and jobs are being lost with not a single tree being "saved" But that effects the fir forests more and the pinch is being felt in a wider area through the USA and Canada which has long been our competitor in the open markets of lumber. But we can't blame Japan or China for the greed HERE! It is up to us to establish limits and controls that work for our economy AND to make our forests sustainable without swinging the pendulum to extremes as so many want to do. IF we can learn anything from all this we can then move forward in developing solutions to other problems such as viable energy alternatives. More on the Spotted Owl and the Barred Owl. Interesting USGS study. It's kind of amazing that people / scientists and biologists need to document the denizens inhabiting a forest to validate that there is an ecosystem. I assume that the owls need rodents (squirrels) to survive. This study proves it Boy those "Save the Spotted Owl" days were strange and passionate! Yes, the cousins are fighting for survival of the fittest...and according to a local biologist, the published research omits the additional information on cross breeding that makes it difficult to determine if an owl is a spotted owl, a barred owl or a mix of the two! Are we getting so powerful that we have decided that we should or can stop the natural evolution of species? And why is this cross breeding not mentioned in the "scientific" reports? Are they afraid we might be confused with too much information and actually see through some of the propaganda spin? I think your statement, question, at the end of your post is probably correct. For one thing, by acknowledging the crossing-breeding the arguments of scientist's research on either owl will be negated. Their studies will end or be altered / updated to include that natural phenom, cross-breeding. I agree that many of the details about that fight are bizarre or ridiculous. And it is difficult to forgo economic opportunity in order to preserve the ecosystem. It happens over and over with resources like lumber and fish and arable land. We need to be better at understanding and dealing with the tragedy of the commons. I do think that if the whole of the world we leave to our descendants three hundred years hence is not to look like a slum at the edge of a destitute third world city, we need to be thoughtful about how we preserve wild areas. I spent thirteen years in central NJ and five years in the Detroit area and I will say that in the name of economic development it's not hard to create desolate urban and suburban areas that make you seriously wonder whether it wouldn't be better to be living on $2/day at the edge of an African desert. Sometimes saving the owl is not about the owl. It's about the world we would have our great-great grandchildren live in. Quoting: Sometimes saving the owl is not about the owl. It's about the world we would have our great-great grandchildren live in. This is a very true statement. BUT does using lies, deception, and faulty science really help us make the right decisions? Or does it leave a foul taste in our mouths and hurt our long range goals more than it helped by winning a small victory? We need facts, not hysteria, created by extremists on either side of an issue. Who's version of the facts can we trust? The developer who's goal is profit or the other end of the spectrum who's goal is to stop all progress at any cost? Both are an anathema to me. The truth is needed in order for us to make the right decisions for ourselves and the next generations. Considerations for Your Energy Efficient Life and Our World. Let's Get Serious. 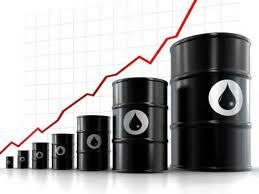 OPEC crude oil pricing (daily, weekly, monthly, yearly) 30 sec. load.